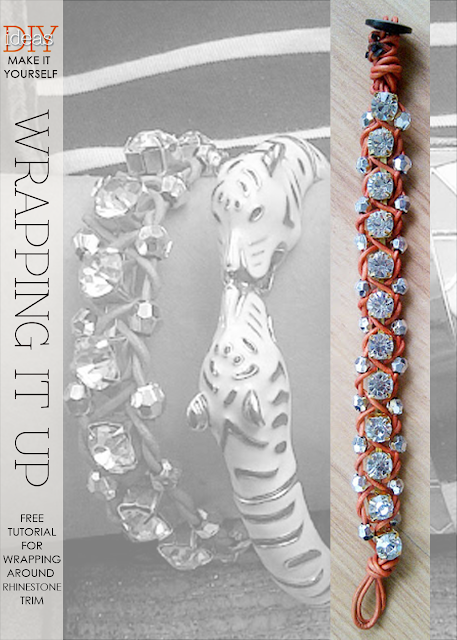 Summer is a great time to show off jewelry especially when you stack several wrap bracelets together. 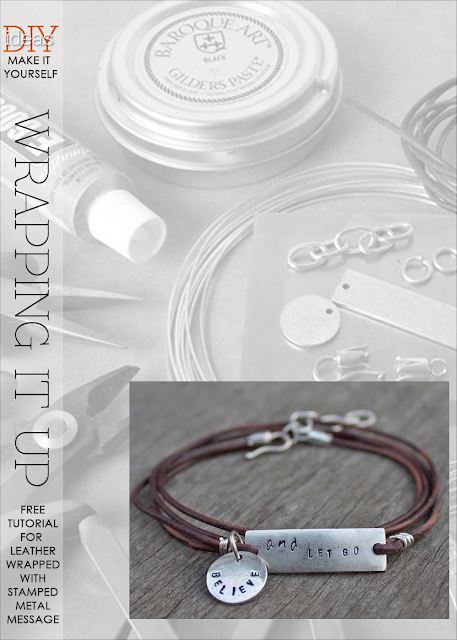 Create your own arm party with all the different ideas for leather wrapped bracelets. 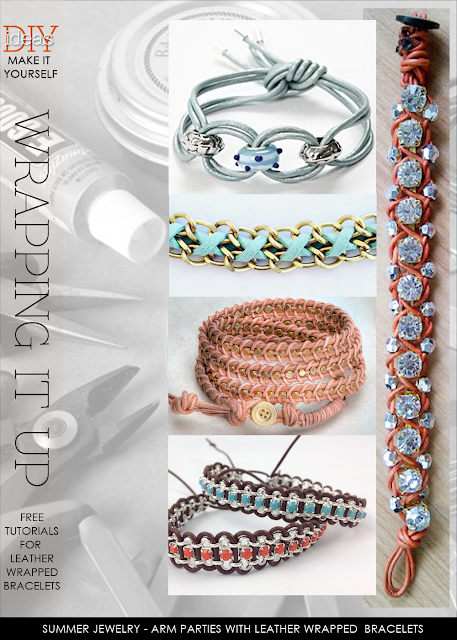 Whether you like a lot of bling or something a little more subtle, there are all kinds of different tutorials for you to try. All these lovely styles can be worked up quickly, great for gift giving. 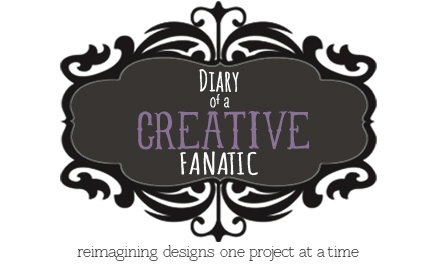 Leather lacing is readily available in all kinds of colors, but I thought it was fun to show this spring's trendy pastel shades. 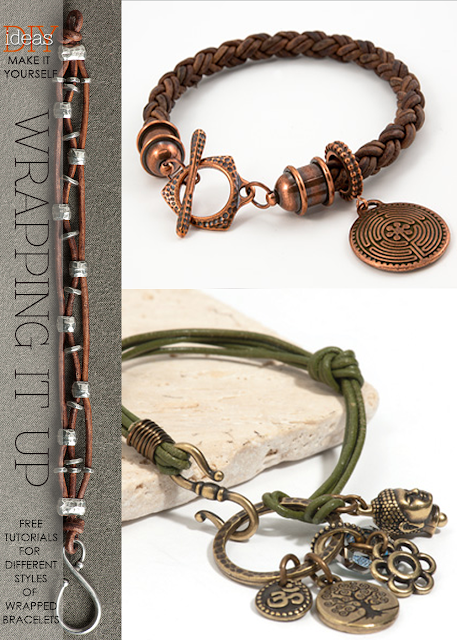 My personal favorite is the golden beads wrapped several times with pale blush leather. Beaded trims by the yard are also readily available in craft stores in beautiful colors. 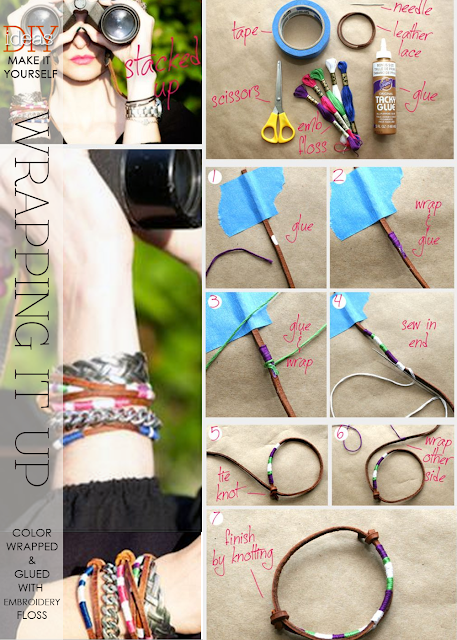 Be sure to check out all the different ways to wrap up your jewelry to wear this summer. 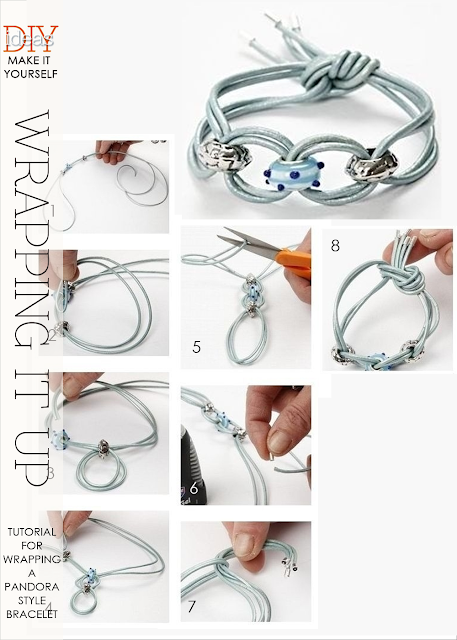 Click on either image below featuring past posts with tutorial on bracelets!